Dr. James Sugarman graduated from the University of Toronto, Faculty of Dentistry in 1990 and went directly into private practice. 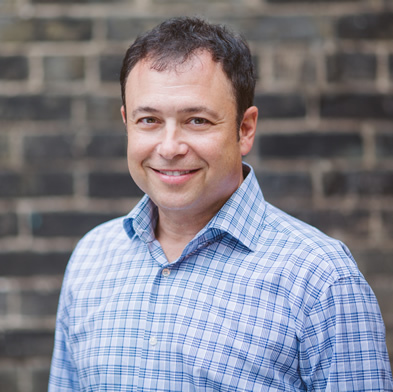 Dr. Sugarman has worked at the Faculty of Dentistry in the Oral Research Clinic, and has been a clinical instructor at the University of Toronto Faculty of Dentistry and in the Dental Hygiene Department at George Brown College. Dr. Sugarman has additional training in sedation techniques and is able to provide various levels of conscious sedation. Dr. Sugarman enjoys devoting time to learn about new technologies in dentistry and implementing them to further the care of patients in the office. In his spare time, Dr. Sugarman enjoys spending time with his wife, Sara and three children. He is also an experienced long-distance runner.